“Six stories of healing you need to hear believe” is the subtitle of a spoken word audio program produced by chiropractors Dr. Zachary Ward (Auburn Hills) and Dr. Josh Stockwell (Ann Arbor) for a public curious about natural, drug-free healing and upper cervical chiropractic care. 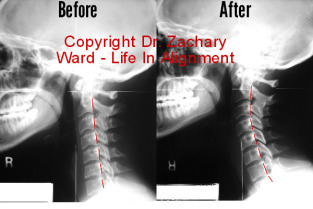 The program, entitled From the Neck Down, narrates the stories of six different patients of upper cervical chiropractic care—all who experienced profound healing through the procedures of the National Upper Cervical Chiropractic Association. A limited run of the audio discs are available in the Ann Arbor and Auburn Hills area. To get a copy, anyone interested in listening can contact Ward or Stockwell, or refer to the website for the project found at NeckDownStory.com.